Support WAVE by using Amazon Smile! Did you know you can support the WAVE Foundation by using Amazon Smile when you shop online? When Amazon customers shop online at smile.amazon.com, Amazon will donate 0.5% of the purchase price to the charity of their choosing. There is no cap on the amount Amazon will donate and almost every product sold by Amazon is eligible. AmazonSmile has the same products available as the regular Amazon website and can be used with AmazonPrime as well. 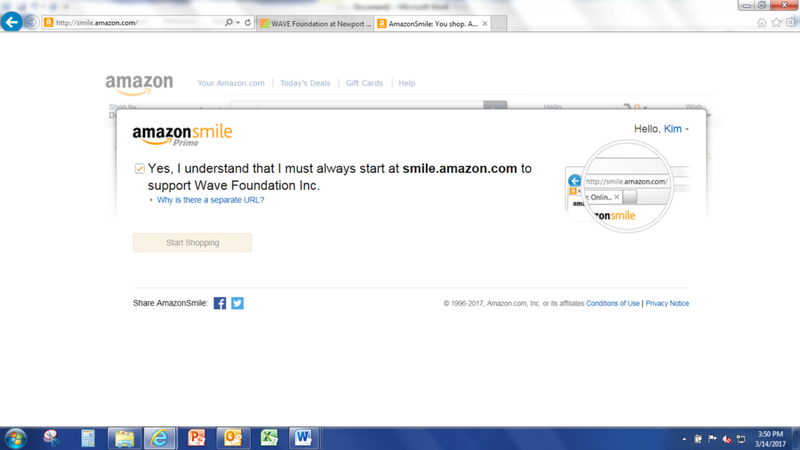 All you have to do is select Wave Foundation as your charity and go to smile.amazon.com to make your purchases. 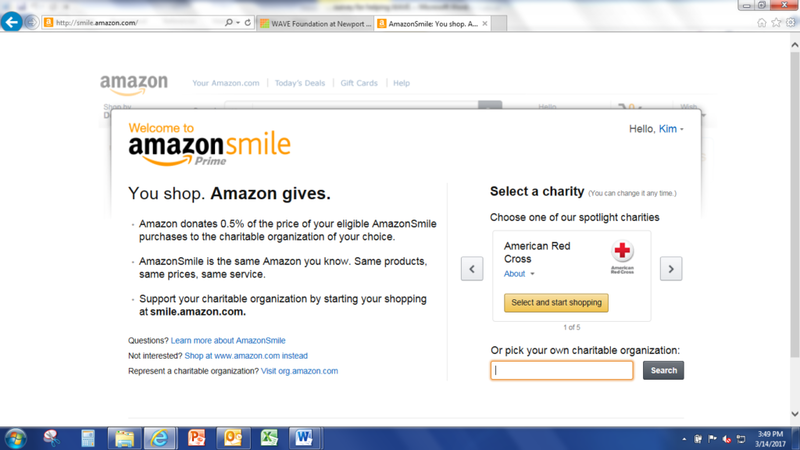 Go to amazonsmile.com and type in “WAVE Foundation” in the search box for “pick your own charitable organization. 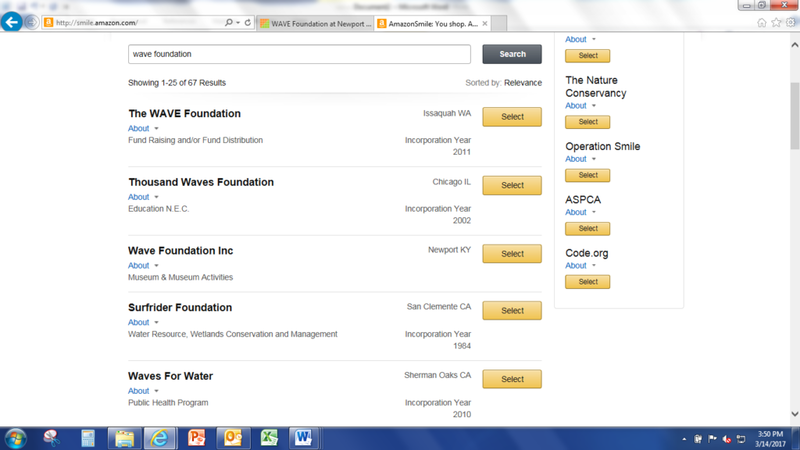 After searching, click the “Wave Foundation Inc” that has Newport Aquarium as the location and click “Select”. Click the check box that says “Yes, I understand that I must always start at smile.amazon.com to support Wave Foundation Inc.” And then click start shopping. Next time you shop on Amazon go to smile.amazon.com and you can shop and help the WAVE Foundation!